“Activated charcoal is rated in Category I (Safe and Effective) by the FDA for acute toxic poisoning. It is recognized as a universal antidote.” ─ Science News 119:3, 1981. Did you know the Poison Control Center recommends activated charcoal as a remedy for some types of poisoning? In fact, charcoal is a very effective remedy for many different health ailments, poisoning included. The powerful properties charcoal has are derived from its structure and its ability to adsorb many harmful compounds. Let’s review how activated charcoal works. The form of charcoal used today for medicinal purposes is activated charcoal, which is a plant derived pure charcoal carbon that has no cancer causing compounds. Activated charcoal is produced from insoluble carbonized wood or coconut shells that have been oxidized by gases (like steam or air) at extremely high temperatures. The oxidative process erodes the charcoal’s internal surfaces which geometrically expands its adsorption capacity by creating an internal network of extremely fine pores. Just one gram of activated charcoal has a surface area of more than 16,000 square feet! This phenomenal feature of microscopic pores make it possible for activated charcoal to adsorb almost 100 times its weight in organic and inorganic compounds such as toxins, bacteria, chemicals, unwanted medications, poisons, etc. The harmful particles adhere or bind to the charcoal, which “escorts” them out of the body by elimination. Activated charcoal defends the body from bad bacteria by stopping it from replicating and prevents chemicals, toxins, or medications from being absorbed into the blood. Activated charcoal has no odor or taste and can be purchased in capsule, pill, and powdered form. Activated charcoal powder will adsorb impurities from the atmosphere, so keep a tight lid on it. If someone swallows drugs, poison, or a household chemical, activated charcoal works wonders in binding most harmful toxins and stops them from infiltrating the bloodstream. 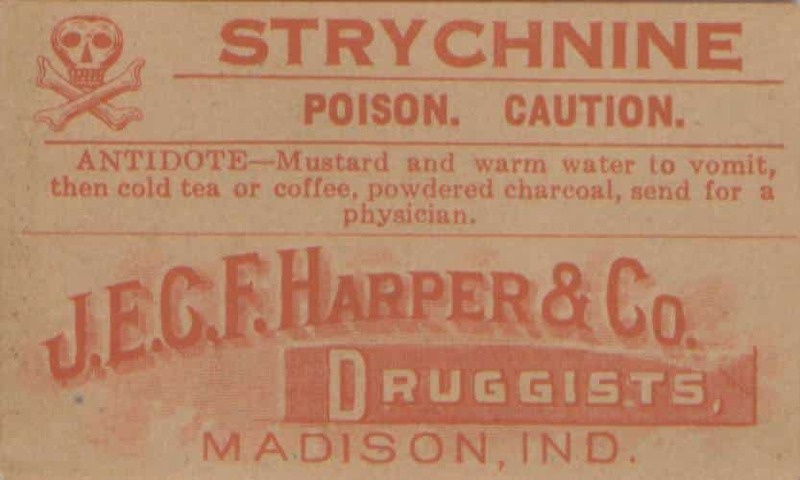 In experiments involving some brave souls (volunteer human guinea pigs), arsenic AND strychnine were mixed with charcoal and ingested by these folks under strict laboratory conditions. To everyone’s amazement, they survived; even though they were given five to ten times the lethal dose! If a person ingests poison and is conscious, mix 1-2 tablespoons of activated charcoal with a full glass of water and drink it down quickly. Then, get to the emergency room to make sure the poison is completely gone from the person’s body! Activated charcoal will adsorb most, but not all drugs and chemicals. Before you give someone charcoal, you need to know what type of poison they swallowed and how to treat it. Call a Poison Control Center to find out if you can administer charcoal for the kind of poison the person ingested. In the next installment in this series, we’ll give you more detail about how to use activated charcoal to treat poisoning.